“Perfection is attained by slow degrees; it requires the hand of time.” This quote by Voltaire seems to fit part of my review this week. Hyundai launched their luxury brand, Genesis, a couple of years ago, and have taken things slow with this brand. They only have two cars under the Genesis nameplate. And my tester this week already has some new elements to it, that it didn’t have last model year. Slow degrees lead to perfection, so says Voltaire. For 2018 The Genesis G80 (the smaller of the two luxury sedans offered by Genesis, has a new Sport trim which has more aggressive looks and more power. Yet, still finds a way to remain refined as all luxury cars should be. 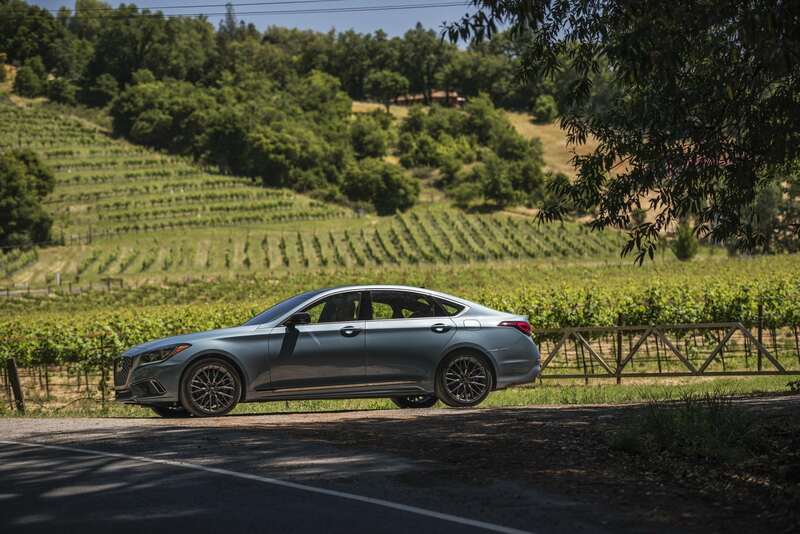 The exterior changes to the 3.3t Sport are subtle but give this sedan a stronger look. The grille is more stylized, and the bumpers look more sports-car like. The intakes are definitely more aggressive looking. 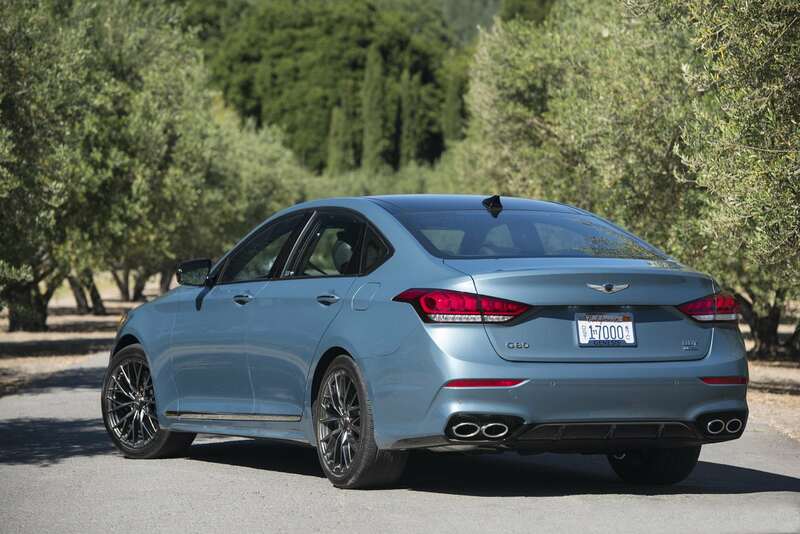 It earns its Sport name with the new looks on the front and even the back end. It sits lower to the ground too and the 19-inch tires help give it a nice stance. 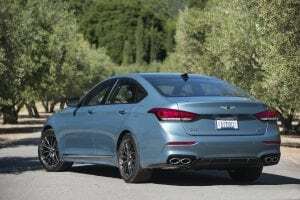 Hyundai did a fantastic job of keeping up with the competition, where both Lexus and Acura have re-engaged in the luxury sports-car segment, offering aggressive styling. So, consider the G80 Hyundai’s way of staying relevant, although not going too fast or too much with the changes. 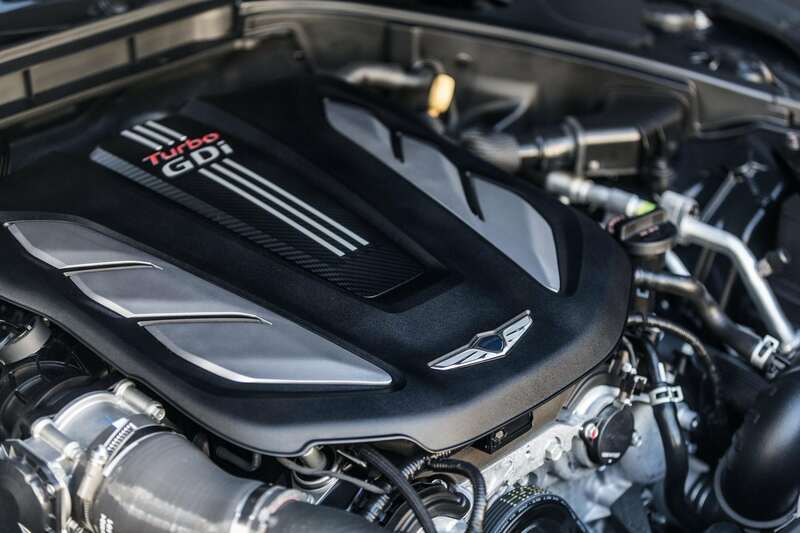 The 3.3t Sport has a new turbo-charged V6 engine. Its output is impressive as is its performance. The turbo V6 has 365 horsepower and 376 lb./ft. of torque. 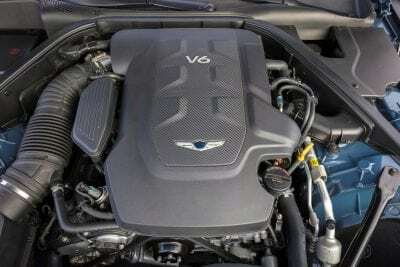 It outguns the larger 3.8-liter V6 engine in the G80 and rivals the big V8 engine. But, this version does so with finesses and a suave-type of performance. Mated with an 8-speed automatic transmission and paddle shifters, the G80 is smooth, with a hint of enthusiasm. 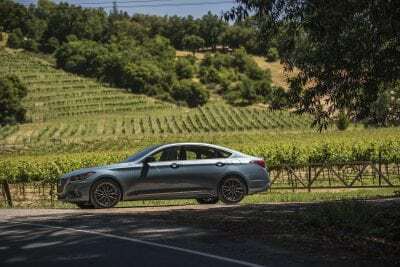 My tester had all-wheel drive (rear-wheel drive is standard) which makes for a fine performing, well-behaved luxury sedan. It can honestly rival any of the other Asian luxury brands, as well as the European counterparts too. 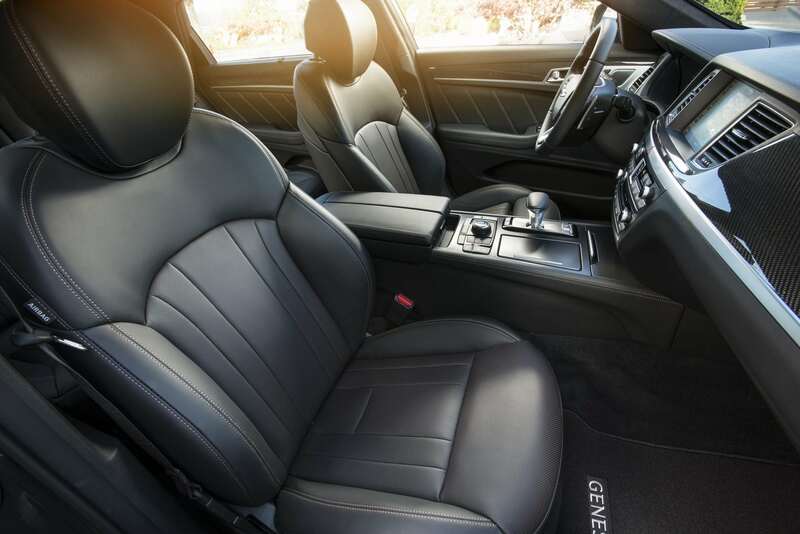 Inside, the G80 shows this is indeed a luxury brand and not a Hyundai. In this regard it’s better than Lexus and Acura. 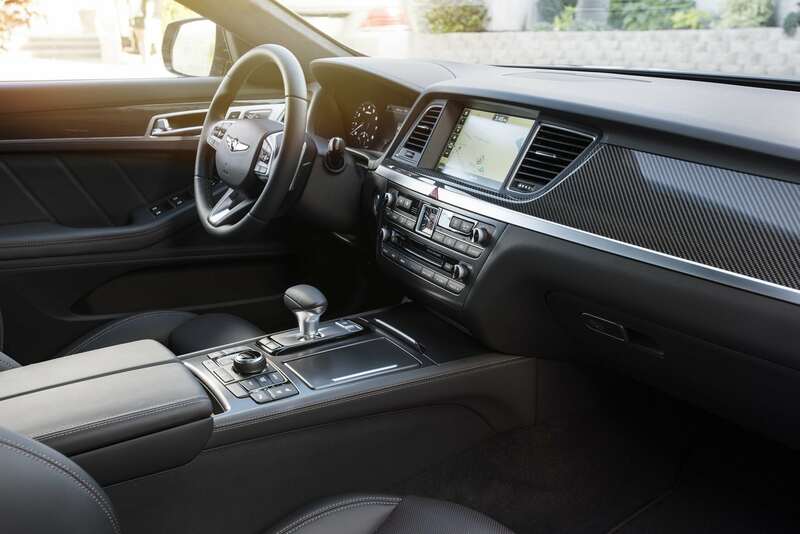 Soft touch points and plush surfaces are found throughout. 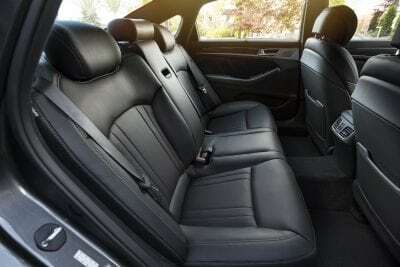 The leather-clad seats are comfortable and supporting. 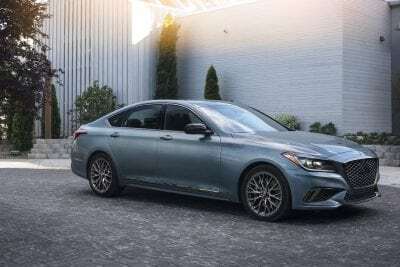 The infotainment system is intuitive and unlike Lexus or Audi, has just enough technology without making me have to search for the car’s manual to figure out how to use it. The center stack is clean and elegant looking. The analog clock is common, but classy, element found in many of today’s luxury brands. The trunk has 15.3 cubic feet of space which is roomier than most of the competition. 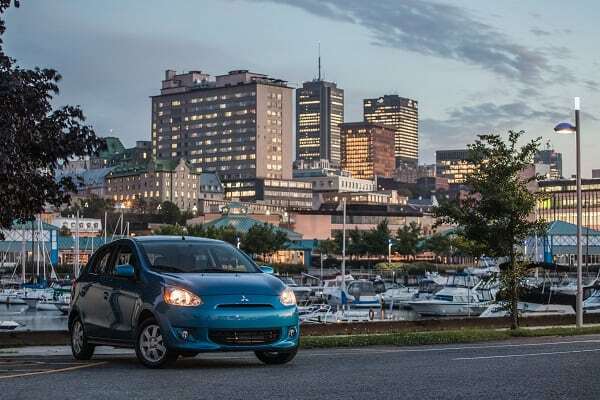 However, the back seats do not fold down, so that limits the total cargo area significantly. There are three variants of the G80, based mostly upon engine size. 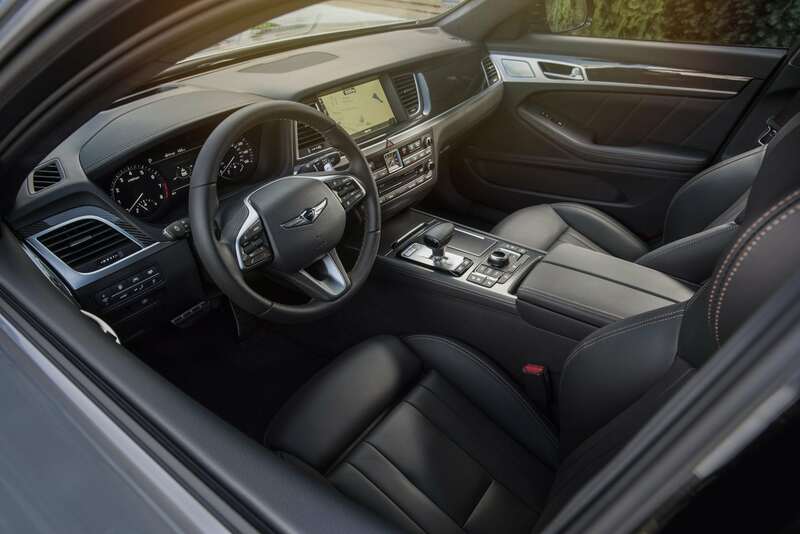 The 3.3t Sport has a long list of standard features that include heated steering wheel and heated and cooled front seats, LED headlights, and air filters on the vents for clean cabin air. Starting price for my tester is $54,122. 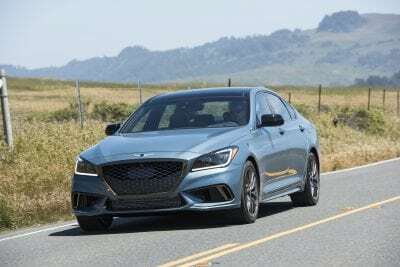 But with AWD and other nice features, my tester had a final MSRP of $58,725. 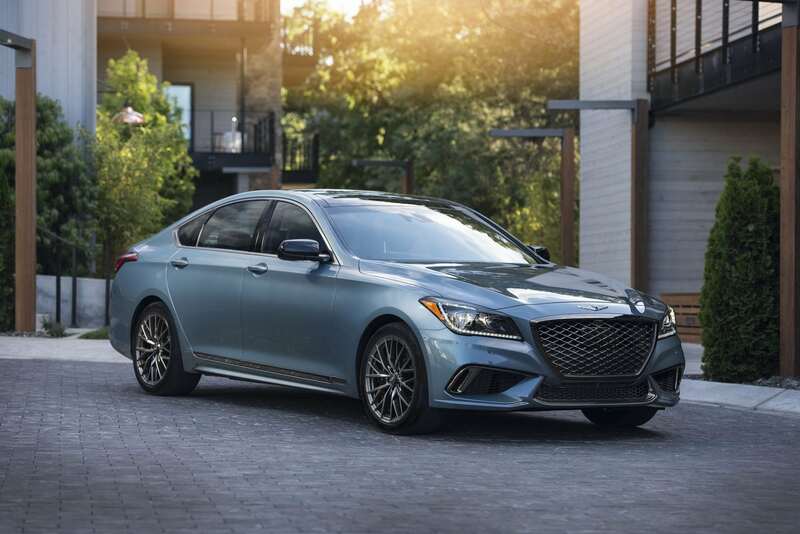 The G80, with AWD has an EPA rating of 17 mpg/city and 24 mpg/highway, making it sub-par in fuel economy for luxury sedans. I averaged nearly 20 mpg in a week’s worth of driving. 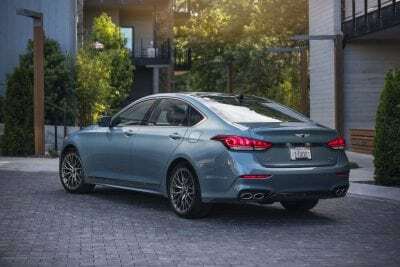 As Hyundai continues to define and evolve their luxury brand, they’re following a good practice by taking a slow, methodical approach. 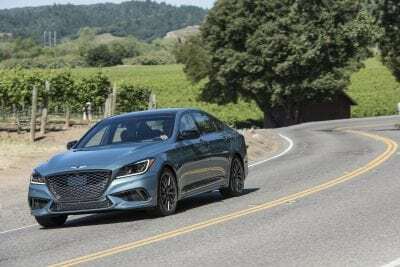 They’re fine tuning and tweaking their sedan line, as evidenced by the outstanding G80 3.3t Sport. This is the best offering of this sedan with refinement, luxury and enthusiasm.